It's not often that Viv and I get a day off together. We're too busy earning money to feed our children's expensive habits. Those buggers better be grateful! Anyways, we got to sleep in a bit (which is a complete rarity) and then we headed out to the recycling depot. Ah yes, even on a day off, we are doing chores! 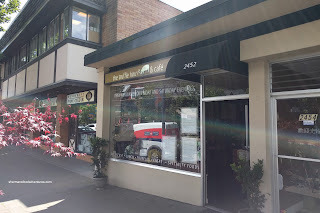 After that, we headed over to the North Shore to pick up some items for our son's birthday party (again, what have we done for ourselves???). 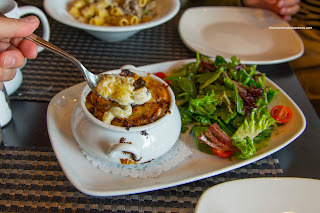 I guess we finally enjoyed our day when we hopped over to The Truffle House in West Van for lunch. Upon being seated at our table, the aroma of truffle filled the room. As such, we began with the Parmesan Truffle Fries. It was appropriate for the Parm to be ahead of the truffle in the menu description as there was enough of it to coat every crispy fry. Hence, they were cheesy, nutty and salty. 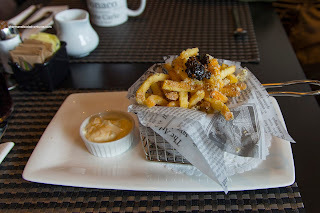 This was accented by white truffle oil and black truffle which gave the fries a whole bunch of musty woodsiness. To top it all off, there was truffle mayo on the side. Continuing with the theme, we had the Truffle Mac & Cheese featuring a white cheddar & gruyere truffle mornay sauce with white truffle oil. This earthy and impactful sauce coated each tender, yet still al dente macaroni. I would say the flavours were pretty intense and long-lasting. 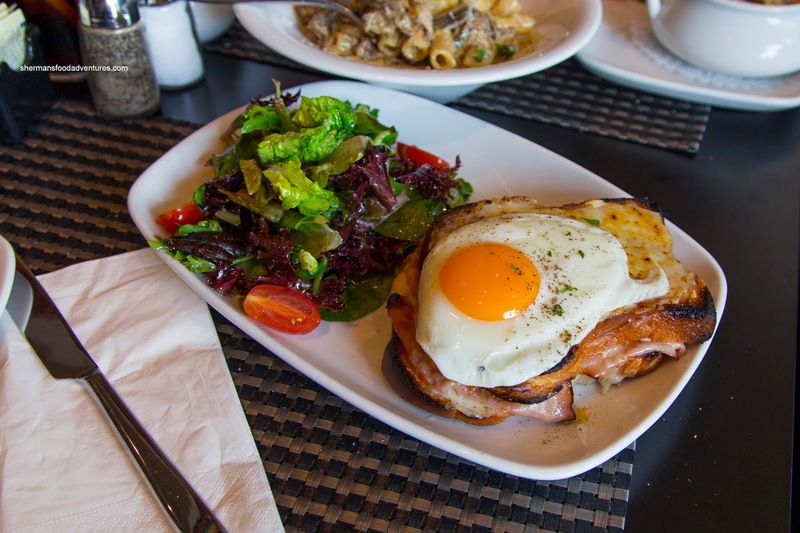 Normally, a Croque Monsieur can be pretty heavy, but this one was downright large. In addition to the size of the soft and moist brioche, there was a considerable amount of salty black forest ham and melted gruyere cheese. The layer of bechamel was not excessive, but it was still buttery and creamy. Add in the runny egg yolk and this was decadent and delicious. 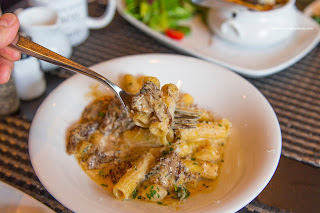 We then went from rich to downright heavy with the Short Rib Tortiglioni with braised short ribs, green peas, cremini & shimeji mushrooms, pearl onions and beef jus cream sauce. I've had my fair share of cream sauces, but this one was really creamy and fatty. Don't get me wrong, it tasted great with a mild saltiness accented by the meatiness of the somewhat dry and chewy short rib, but it was hard to down more than a few bites. Despite the last dish, we enjoyed the first 3 in the cute little dining space. 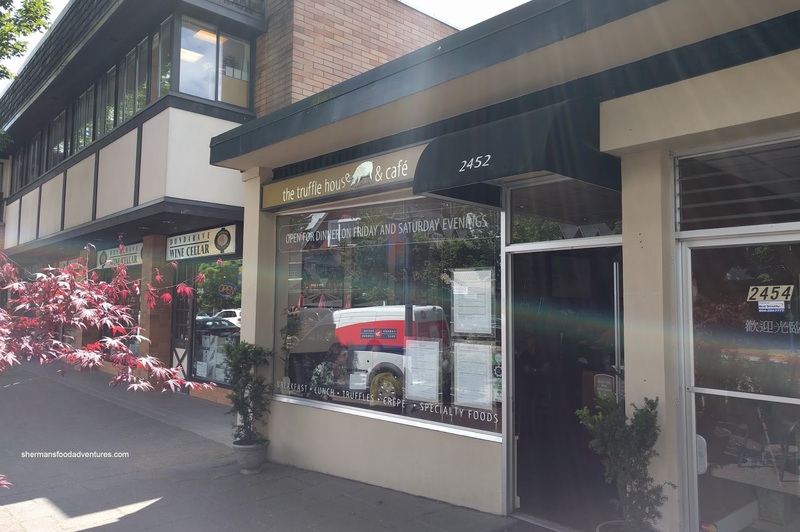 Consider The Truffle House as a little gem tucked away in Dundarave.